Apple Watch Series 4, which launched worldwide back in September, was the first redesign to the wearable. But while the 30% larger OLED display and thinner casing were welcome additions, they didn't represent a significant overhaul to the design, which was, by and large, pretty much identical to all of the previous models. 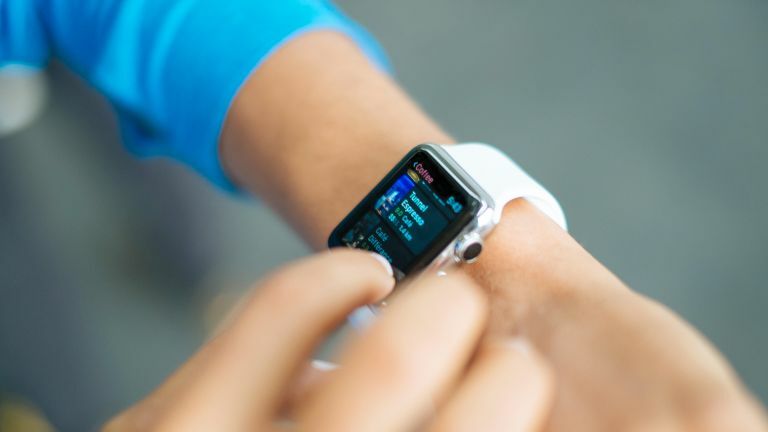 But that could all change with the next iteration of the hugely-successful smartwatch, according to a new patent filed by Apple. The United States Patent and Trademark Office (USPTO) published a slew of approved Apple patents this week, including one that hints at a possible future design for the smartwatch. The patent, unearthed by blog PatentlyApple, shows a new Apple Watch with a pliable OLED that bleeds onto the strap to squeeze as much screen real estate into the small wristworn gadget as possible. If the illustration filed with the patent is any indication of the final design, the pliable OLED display wraps around the strap in a very similar fashion to the Samsung Gear Fit 2 Pro. It's unclear how notifications and watch faces will be displayed on this all-new display design. Given that Apple Watch has so far favoured a rectangular design in order to make reading text as easy as possible, embedding a touchscreen into the strap seems like a decidedly unApple-like decision. As always, it's worth taking this latest patent with a healthy pinch of salt. Apple patents a slew of different technology and designs that never leaves its R&D department in Cupertino, so it's always possible this new touchscreen band will never make it into a final product. Is Google's wrist-wear ready for prime time?